Hailing all the way from Feltham in West London, Alex Crowley has taken the Nintendo collecting world by storm with his very popular YouTube channel ‘Nintendo Arcade”. 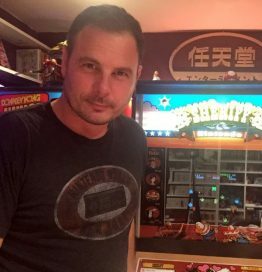 He showcases the ‘best of the best’ gameroom and arcade/console collections in the UK and is considered one of the most prolific Nintendo collectors and historians on the scene today. Alex has experience with most, if not all, of the bronze and golden age Nintendo arcade titles and he’s extremely proud to be a part of the team bringing Sky Skipper back to the forefront of Nintendo arcade history.